Fresno State White Helmet Authentic by Schutt | Sports Memorabilia! This is the Fresno State White Helmet by Schutt. 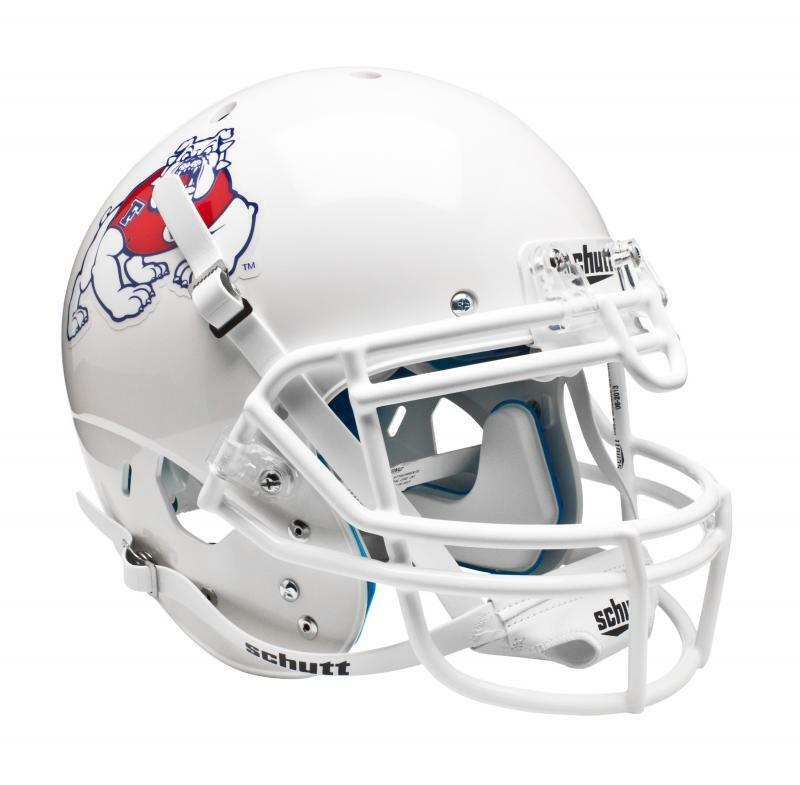 The Fresno State Bulldogs have had a fantastic run of victories and this is the helmet used in their "white out" home game in 2013. The authentic helmet has all the real padding and construction as used in the real helmets on the field. This is a great helmet for the Fresno State Bulldogs fan! Made in the USA by Schutt.